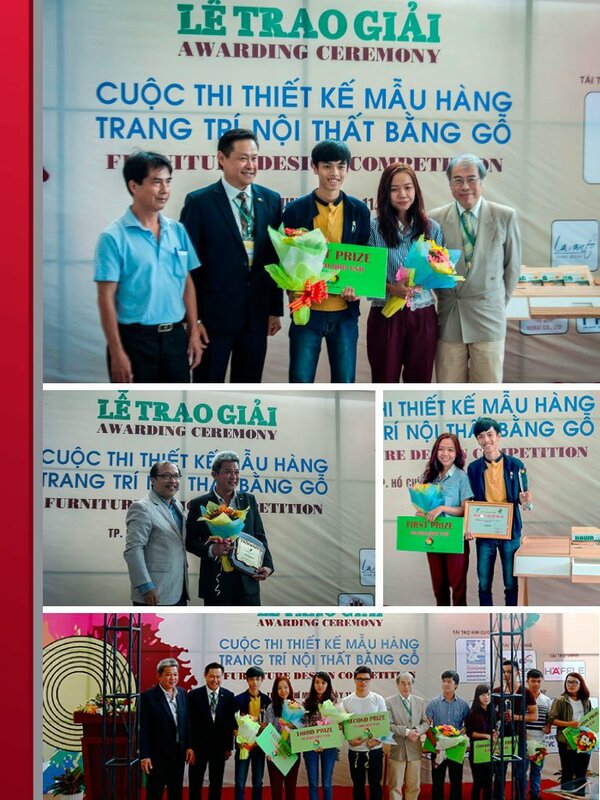 On 11 th March, 2015, at Saigon Exhibition & Convention Center, District 7, Ho Chi Minh City, Ho Chi Minh City Handicraft and Wood Industry Association (HAWA) held an award ceremony for 12 th "Hoa Mai Competition 2014-2015", closed an exciting contest with nice and good quality designs. Häfele continued to support this year’s competition as a Gold Sponsor . Following the success of last 11 competitions, the Furniture Design Competition Apricot Blossom 2014-2015 organized by the Handicraft and Wood Industry Association (HAWA) was officially launched in October, 2014. After 2 months, the contest attracted 244 contestants with 288 sketches, double than last year. 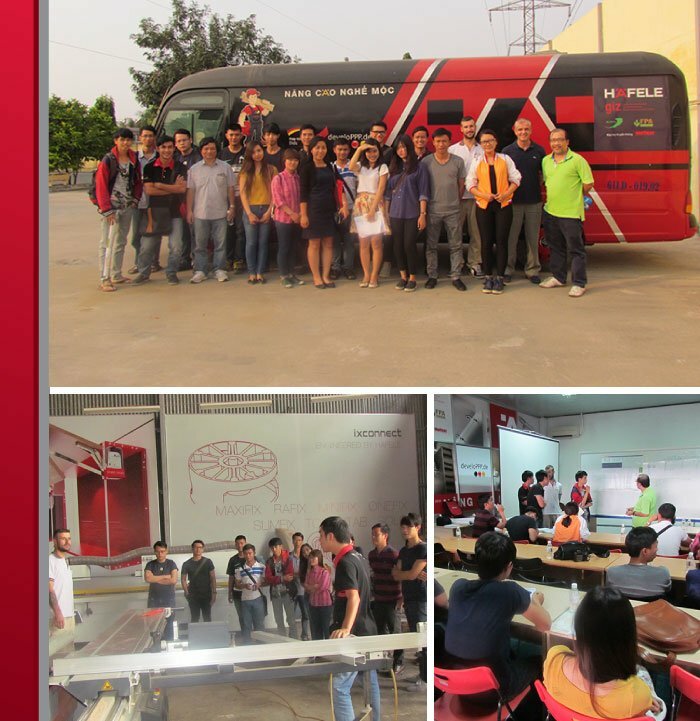 During the competition, Häfele Vietnam provided basic knowledge and technical expertise as well as necessary furniture fittings to help the contestants get their best results. In "Furniture from design to reality" seminar, Häfele provided the contestants basic knowledge about furniture fittings – a new idea for young designers to help them apply smart fittings to bring more functions to their products. On 22 nd Jan, 2015, Häfele organized a warehouse and workshop tour. This is an effective activity to help the contestants approach furniture fittings as well as a real wood production process in order to shorten the gap between theory and reality and help contestants design usable products easier. 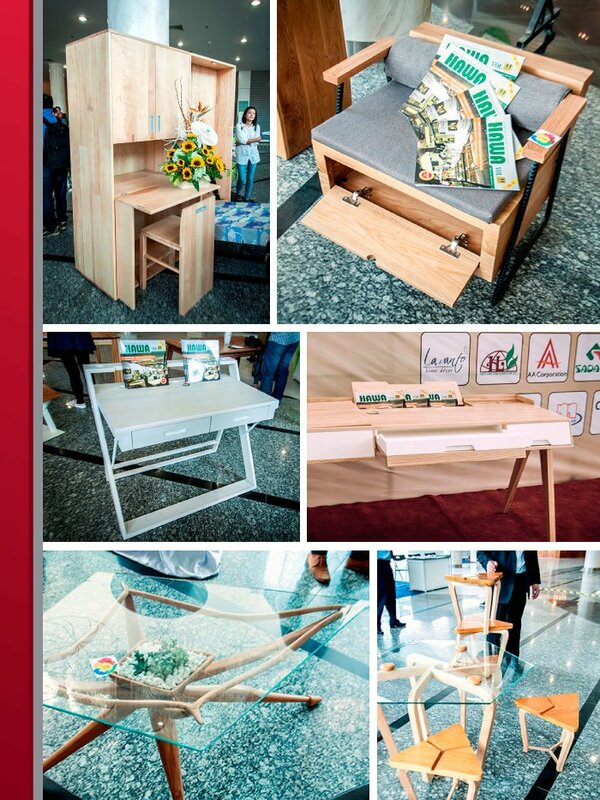 After the first round, with support from wood manufacturing companies and furniture fittings Häfele to turning the top 17 designs into completed products and displayed at the VIFA fair from 11 th to 14 th March, 2015. Finally, the first prize of the competition this year was awarded to Tran Trung Hau and Pham Ngoc Quynh Giao from Ton Duc Thang University with Regen Desk – the best product even in idea and production. This group applied Häfele furniture fittings such as conceal hinges, mechanical opening system Tip-on effectively to create a functional product. Top 8 products include First prize, Second prize, Third prize and 5 Consolation prizes were displayed in SingaPlural area, IFFS fair, Singapore from 13 th to 16 th March, 2015. This is a good opportunity for the young designers to introduce their creative products in an international fair. Häfele Vietnam together with other companies in the wood manufacturing industry are putting more efforts to help the young designers build confidence in their designs and create new things that suitable for market demands and product abilities of Vietnam companies. Some photos of "Hoa Mai Competition 2014 – 2015"